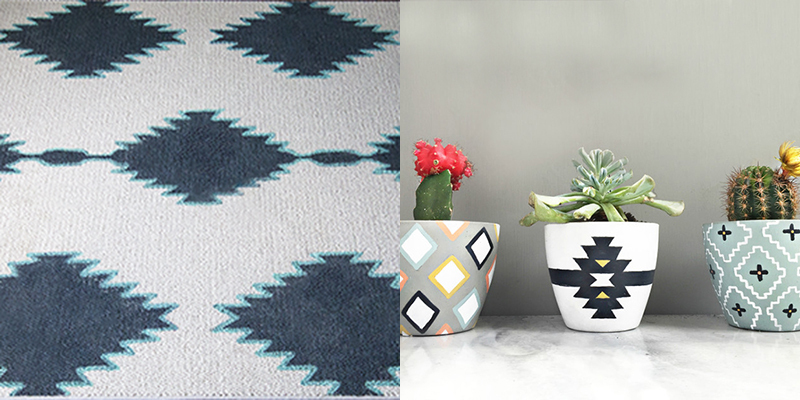 Let’s add a little texture in the house. 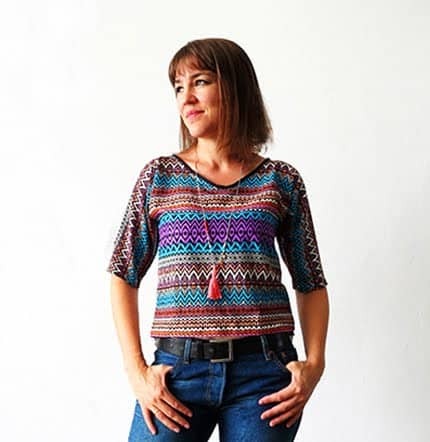 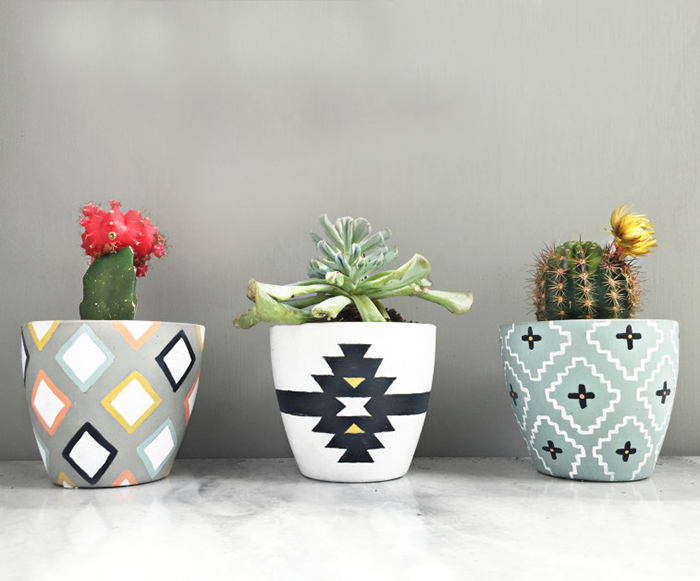 Southwest print are an interesting option, I like them geometric shape, and you can paint them with bold color or work with monochromatic shade. 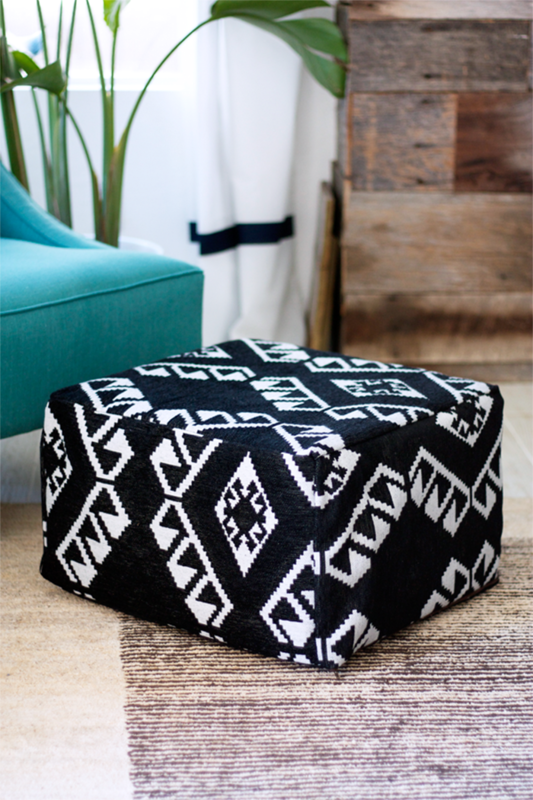 It can easily turn any plain object into an eye catching decor item! 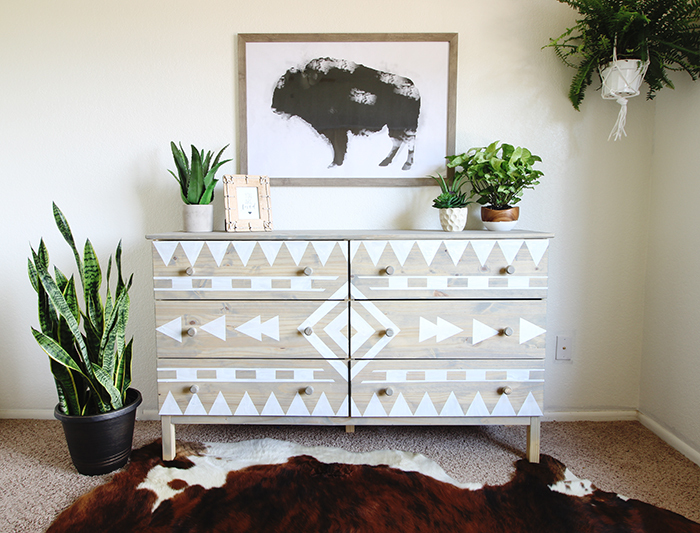 As the shapes are quite simple, you don’t need any particular artistic talent, you can use some tape or a stencil to help yourself drawing and painting! 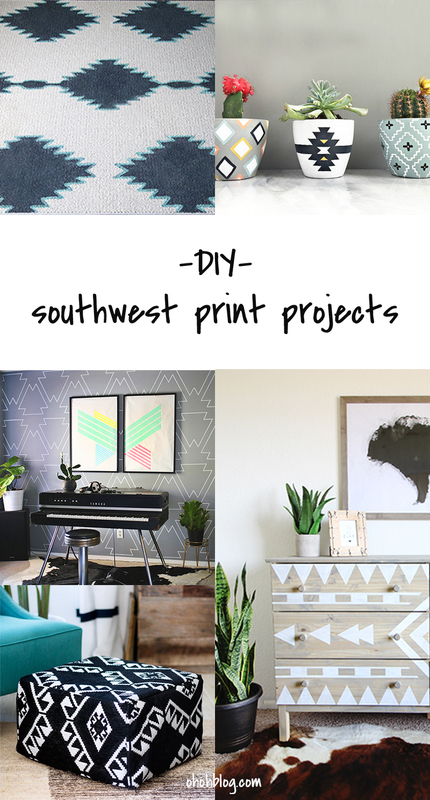 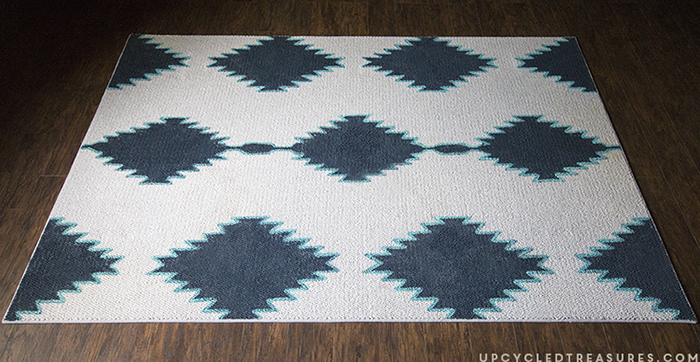 Have a look at those awesome makeover, I’m pretty sure you will find some item around your house that will looks much better with a southwest print on it! 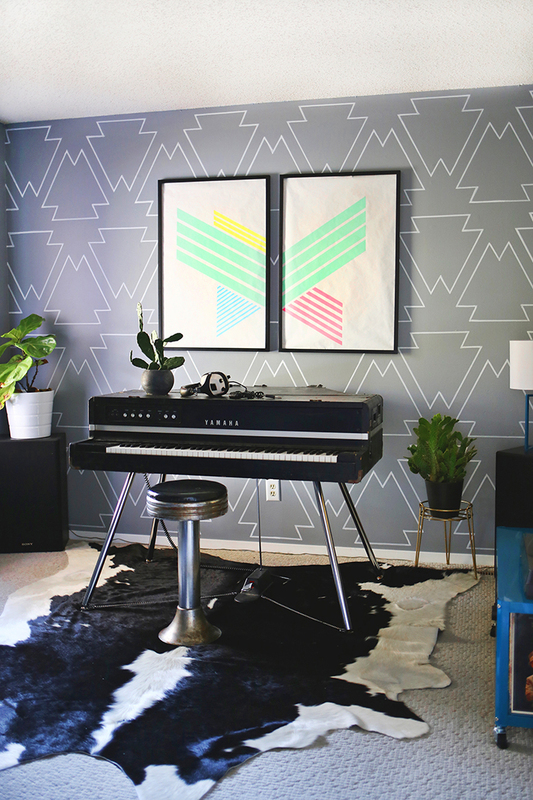 You can also check my tutorial to make a 30 minutes aztec art wall!